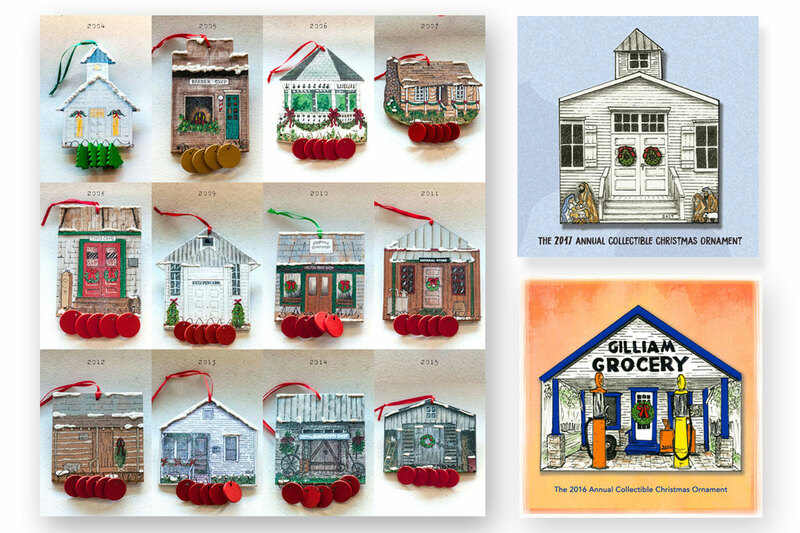 The popular tradition of annual Christmas ornament was introduced in 1991. About forty wooden Christmas trees were made, decorated with personalized red wooden disks. Each year following found the membership painting 150 ornaments Christmas subject for the festival, which was then called Christmas Bazaar. In 2004, the members elected to begin presenting one of the restored buildings in the museum as a subject for the popular fundraiser and this created a true following of collectors who eagerly await each year’s edition. Local artist and active volunteer, Torie Walker annually sketches the ornament. 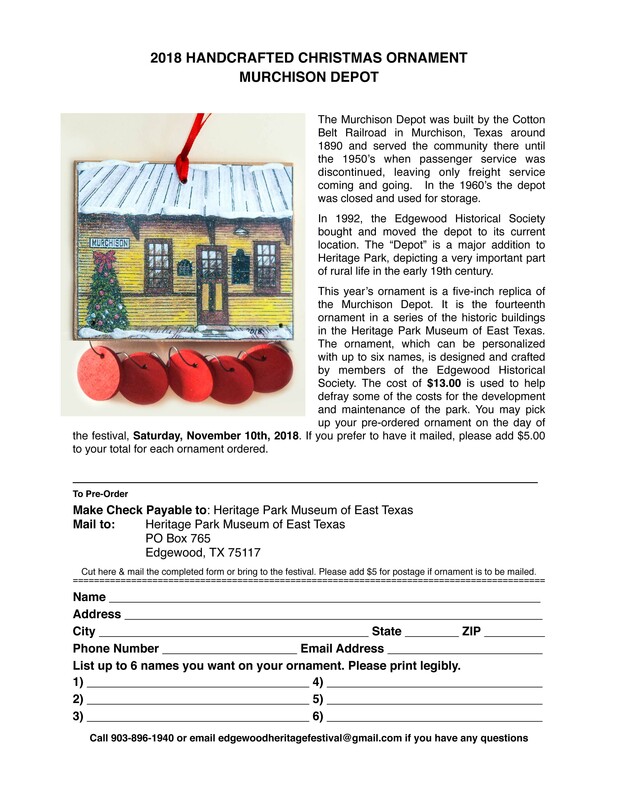 This year’s ornament is a five-inch replica of the Murchison Depot and is the fiftienth ornament in a series of the historic buildings in Heritage Park Museum of East Texas. The ornament can be personalized with up to six names. A limited number are on sale at the Artisan Village during the festival. Pre-ordering is available by filling up the pre-order form. The cost of $13.00 is used to help defray some of the costs for the development and maintenance of the park. You may pick-up your pre-ordered ornament on the day of the festival, Saturday, November 10, 2018. If you prefer to have it mailed, please add $5.00 to your total for each ornament ordered.